These are troubled times for SoundCloud, with staff lay offs, changing CEOs, and talk of emergency investment securing its future for the time being. As with any service that's looking shaky, users will be (and should be) worried about getting their stuff out — you may have years of playlists, uploads, and podcasts collected on the service. Here's how to get all that audio and data into safer locales. Brought to you by Mustang. We’ve all had tech related regrets. Betamax, backing the Zune against the iPod, letting that precious vinyl collection go. No one likes living with regrets, so don’t add what you drive to that list. Stop thinking about it and just book a Mustang test drive already. The bad news is, it's not particularly easy or intuitive to do. Unlike Google, for example, SoundCloud doesn't give you a dedicated suite of tools for getting all your material off its servers, so in a lot of cases you have to turn to third-party services and add-ons for help. 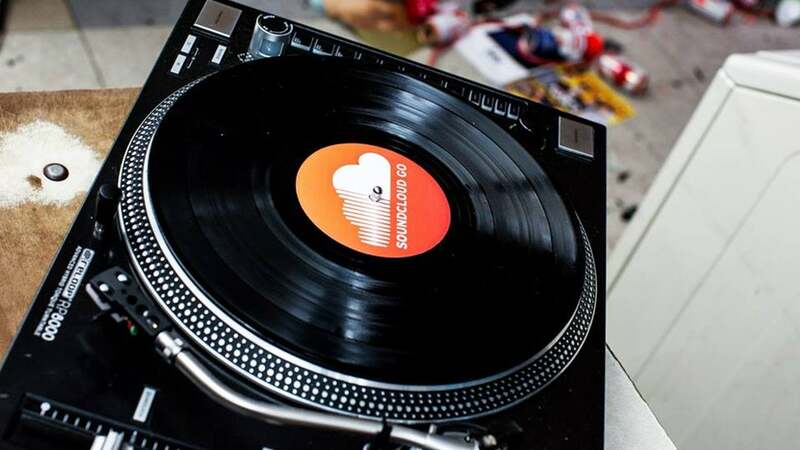 You can only download tracks one at a time on SoundCloud, and only then if the uploader has enabled downloads on the file in question: Click the Download button underneath any audio waveform to save the file to disk. The same is true of tracks you yourself have uploaded — if you enabled the download option at the time, you can download these tracks individually, otherwise you'd better hope you still have the originals. 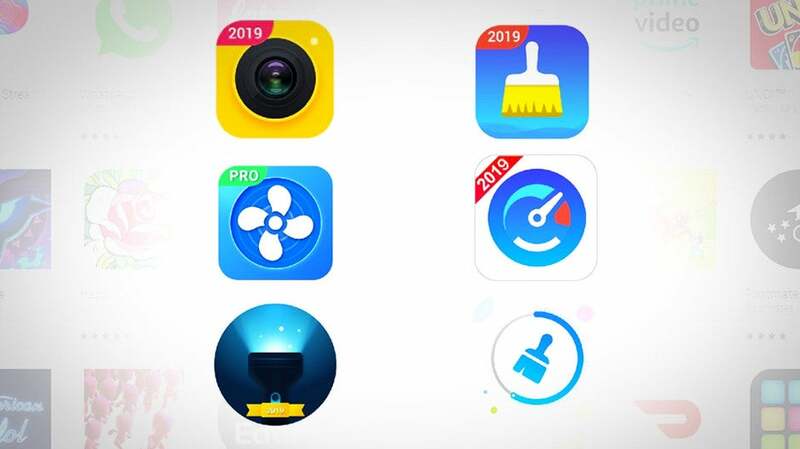 Third-party add-ons will do some downloading for you, though these apps go against the SoundCloud terms of service, so proceed as your conscience allows — you're certainly entitled to think you'd be allowed to use them to get your own audio downloaded, but ripping huge numbers of copyrighted tracks is less clear-cut legally. The aptly named SoundCloud Downloader is one option. Just paste in the SoundCloud URL, and you get a download link (there's a Chrome extension available too if you need it). For getting hold of whole playlists at once, we'd direct you to the SoundTake SoundCloud Downloader — again, you just provide the playlist URL, and you get a series of MP3 download links back. It seems to work better and more reliably than the other playlist downloaders we tried. The SoundTake site also works with user profiles and Likes on SoundCloud, so just about any URL you paste in there will spit out a series of download links. 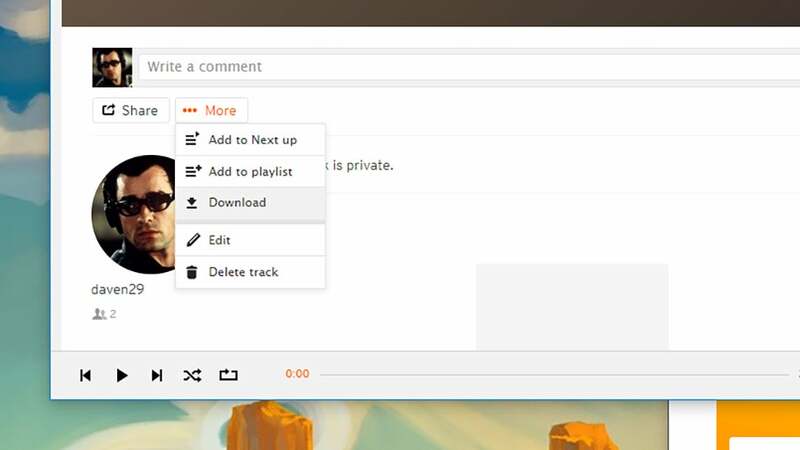 If you need a quick, easy, and free way to get audio out of SoundCloud then it's one of the best options. As with downloads, SoundCloud doesn't make it easy for you to export your likes and playlists (in terms of the metadata rather than the actual files) — again you need to rely on external plug-ins rather than any option you're going to find in SoundCloud itself. 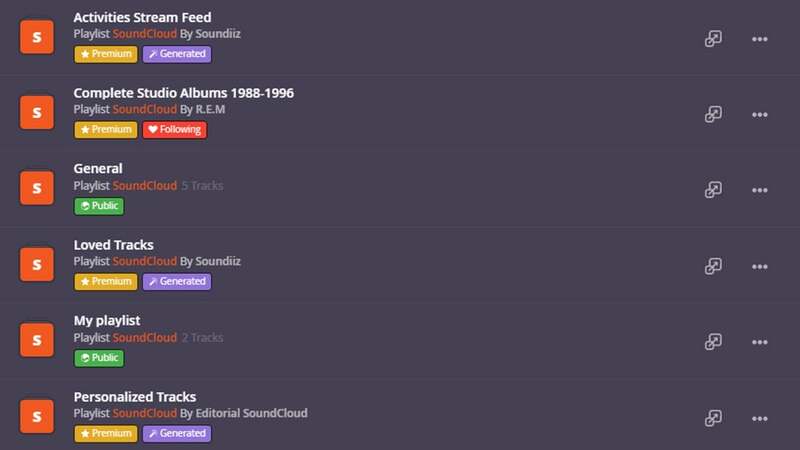 If you're looking to export your playlists and likes to Spotify then we'd direct you towards the previously featured Soundiiz. It plugs into a whole host of online music services, including SoundCloud, Tidal, Spotify, Apple Music, Google Play Music, and more. The basics are free, with paid plans available. 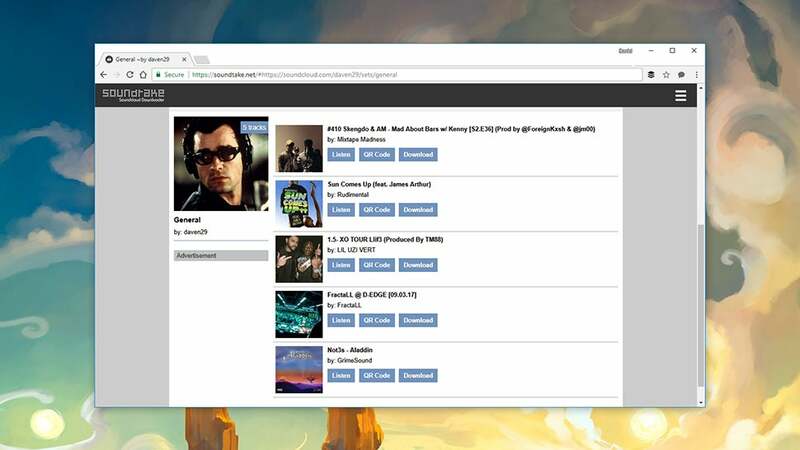 Connecting your various music apps is as simple as clicking on the icons down the left side of the main page and offering up your login credentials for each service. 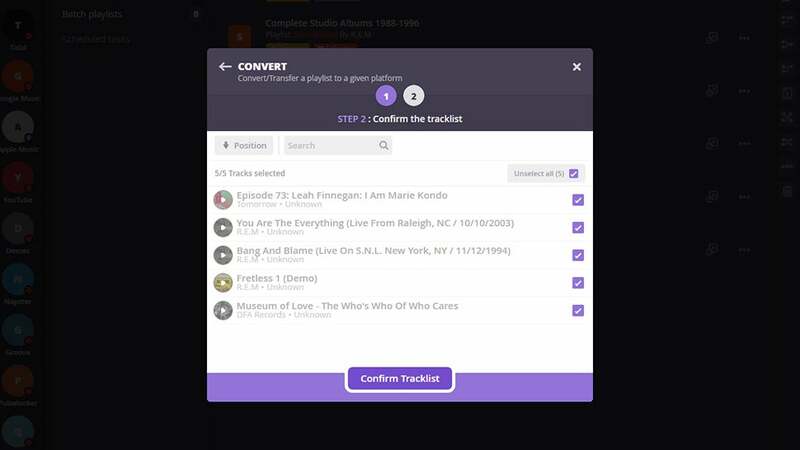 Plug in your SoundCloud account details and you get access to your playlists, your loved tracks, your activity stream and so on — all of these lists of songs can be transferred to another service by clicking the Convert button (though obviously you might not find exact matches on all of the other streaming platforms). Converting some playlists requires a premium account, and if you fork out $US4.50 ($6) for the month (it's less if you pay by year) then you can also export your SoundCloud playlists in text and XML formats, and batch convert lists of tracks. You can join playlists together and if you want a comprehensive way of getting all your data out of SoundCloud then we'd say it's worth the investment. Otherwise get a pad and paper and start writing down every track you've ever liked and recording every playlist you've ever formed.